Hello Excellers. Welcome back to another #MacroMonday blog post. Today let’s look at how to create a simple Excel VBA Macro which will be useful for converting your data to uppercase on your Excel worksheet. I use this every week, I have a data extract that always has a mix of upper and lower case. As well being annoying (for me – just a personal thing), in inconsistent data affects other parts of the worksheet solution in with data matching. So, I have this simple piece of VBA code which converts selected cells in my worksheet to upper case. Easy as that. I have stored this macro in my Personal Macro Workbook so I can use it in any open Excel worksheet. Don’t forget to follow me on YouTube for Excel Tutorials and Tips. The Macro uses the For Loop which is probably one of the most powerful programming techniques. The For Loop is typically used to move sequentially through a list of items or numbers. This is exactly what we need to loop through all of the selected cells and convert any text to uppercase. First of all, we start this code by opening the Excel Visual Basic Editor. You can either do this by hitting ALT+F11 or by selecting the Developer Tab | Visual Basic. This allows us to Insert a new Module to store our VBA code. We have two choices as to where to store the code. If we want to only use this code in this particular workbook then select to insert a Module within this workbook. While, in contrast, if you want to be able to reuse the code then insert the new Module into the PMW. The Excel VBA code stored in your PMW will be made available in any active Excel session that you open. As a result, it is really easy to keep all off your Excel Macro’s together in one place. Notice Excel will insert the End Sub automatically for us to end the Sub Routine. We need to declare a variable in the code. This action simply creates a memory container for these values. In this example today we are allocating memory for the range of cells selected by the user to convert to uppercase. So, this is my favourite part of the whole process. Getting to test the code. Select the name from the drop-down list in the Macro Group in the Developer Tab. 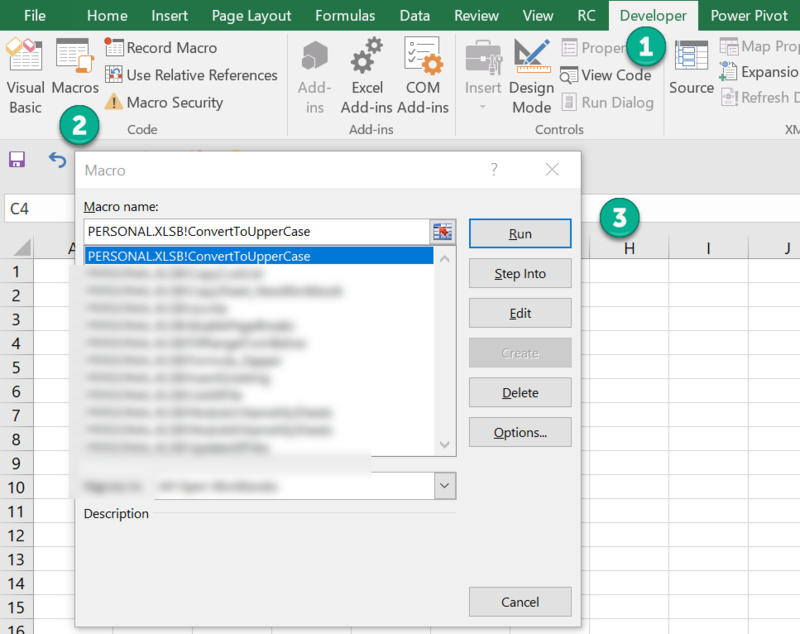 You can now use the Excel For Loop to convert all of those upper and lower case cells all to upper case with a few clicks. Here is all of the code in one place. Finally, I am pleased to announce I have teamed up with Excel Rescue, where you can get help FAST. 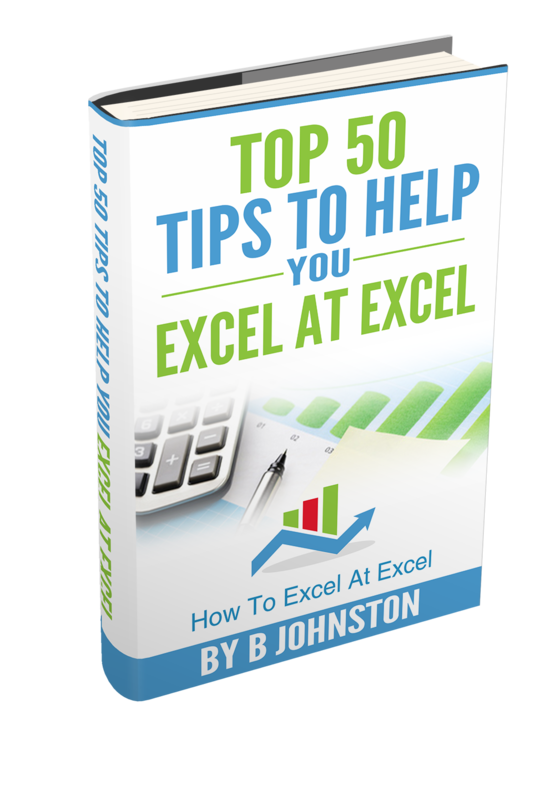 All you need to do is choose the Excel task that most closely describes what you need to be done. Above all, there is a money back guarantee and similarly Security and Non-Disclosure Agreements. Try It!. 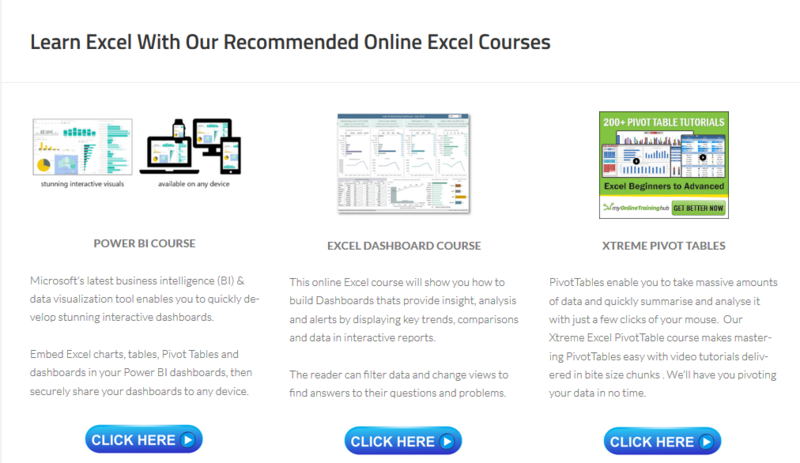 Need Help With Excel VBA code at all?. Of course, you do not need to ask how to Convert All Cells To Uppercase as you have that solution right here for free!.